the overall market for family and children’s programming options continues to expand quite rapidly. 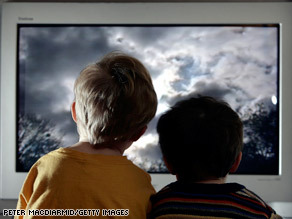 Thirty years ago, families had a limited number of children’s television programming options at their disposal on broadcast TV. Today, by contrast, there exists a broad and growing diversity of children’s television options from which families can choose. And every time I turn around I find another great show, service, or site for families to choose from. 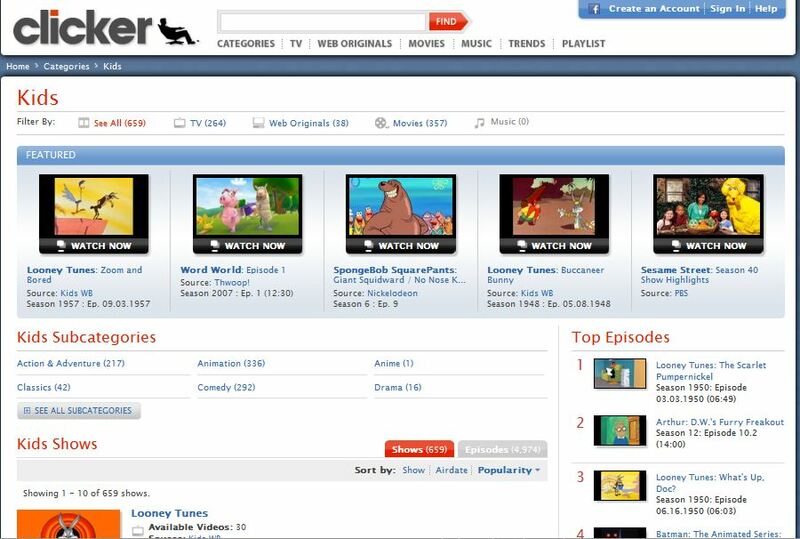 Earlier today I highlighted the excellent new online video search service, Clicker.com, which is essentially a “TV Guide for the Internet.” It is absolutely awesome and I highly recommend you play with it. You’ll be instantly hooked if you are TV junkie. Better yet, Clicker.com offers a wonderful compendium of kid- and family-oriented video programming options. Although the site is still fairly new, you can already find 660 shows and almost 5,000 unique episodes of kids programming there. A lot of it is just good ‘ol fashion couch potato fare ranging from the old (The Jetsons, Fat Albert, The Flintstones, etc) to the new stuff that you’d find on various cable channels today. But there’s also plenty of wonderful educational programming to be found on Clicker including shows like Arthur, Sesame Street (over 1,000 episodes), Martha Speaks, The Electric Company, Animal Exploration with Jarod Miller, Jonathan Bird’s Blue World, Postcards From Buster, Science on Brain Pop, Technology on Brain Pop, and more. Although my kids aren’t really into TV, as they grow older, I bet they’ll be watching a lot more programming via services like Clicker. Currently, my kids enjoy watching snippets of video via kid-oriented online search portals like KidZui and Glubble. Such online walled gardens offer a safe place for parents to find terrific online content for their kids. Bottom line: compared to the miserable state of affairs some of us faced growing up in the 1970s, kids and parents have never had it better in terms of the video programming options at their disposal. Anyway, some of “kid-vid” issues — including potential expansion of the Children’s Television Act of 1990 — could be up for discussion in the FCC’s new proceeding, “Empowering Parents and Protecting Children in an Evolving Media Landscape” (MB Docket 09-194). The FCC just tweeted about it here and I posted my thoughts on where the agency might be heading in this proceeding in this post last month.